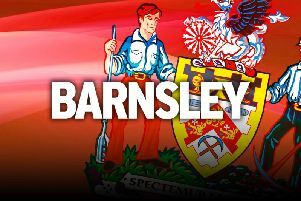 Barnsley assistant manager Andreas Winkler has poured cold water over reports linking Adam Hammill with a surprise return to the club. The 30-year-old winger became a fans’ favourite during three different spells at Oakwell, initially arriving on loan from Liverpool in 2009. A permanent move to the Reds followed and his performances during a two-year spell attracted interest from Premier League clubs. He left Barnsley for Wolves but returned in 2015 and played a key role in the club winning the Football League Trophy and promotion to the Championship under Paul Heckingbottom a year later. However, after slipping down the pecking order, Hammill was released at the end of last season after Barnsley were relegated back to League One. The Liverpudlian is currently a free agent and has been linked with a move back to his former club. But Winkler told a press conference: “Right now we are very confident about our squad. Barnsley’s unbeaten start to the League One season will come under threat at Coventry on Saturday - a place they have not won since 1923. The Sky Blues have experienced an inconsistent return to the third tier following promotion, taking eight points from seven matches, but Winkler is expecting a tough challenge. “I don’t think we had a win there for 95 years so it will be a tough match,” the German said. “They got promoted, some good players and pacy players in (Conor) Chaplin, who we wanted to sign. We expect a tough match. “We know they have strengths from set-pieces. We will be aware of their strengths. We need to improve some of our style of football, if you look at last Saturday. Coventry, managed by former Tykes boss Mark Robins, beat off interest from the Reds to sign Conor Chaplin from Portsmouth in the summer. Winkler confirmed the Barnsley were interested in the striker and is aware of his threat ahead of Saturday’s game. “He was very close (to becoming a Barnsley player),” he added.